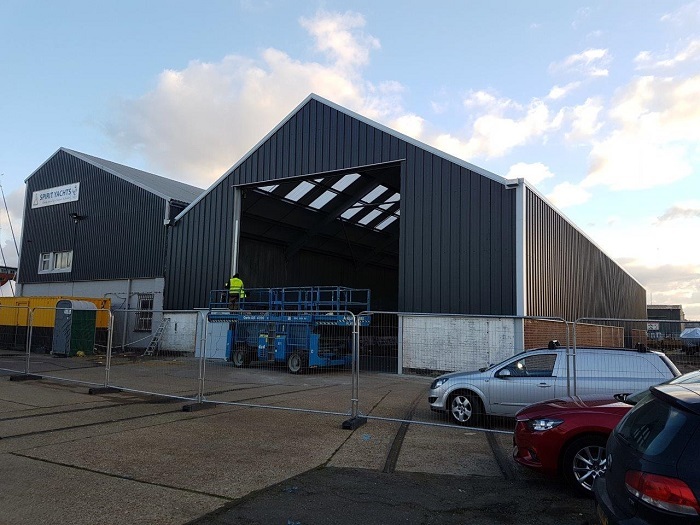 Spirit Yachts is set to unveil its new, energy efficient build facility on 21st December at its waterside headquarters in Suffolk. Rt. Hon. Ben Gummer MP will be officially opening the new building, which is adjacent to the current yard. The new building will have LED lighting, modern heating systems, and efficient insulation and extraction. The new building, shown on the right above, is in the final stages of construction.